Avengers: Endgame hasn't even hit theaters yet, but Marvel is already busy counting fat stacks of cash. Presale tickets for what is asserting itself easily as the most highly-anticipated pop culture event of the year were made available last week and anyone who was trying to purchase tickets for opening night is aware just how feverish the demand has been. After a full week, the movie has absolutely shattered presale records and is now poised to be a bigger hit than anyone expected. Fandango has reported that they've sold five times more tickets for Avengers: Endgame in the first week than they did for Avengers: Infinity War last year. And Infinity War went on to score the all time opening weekend record at the box office both domestically and worldwide. So who knows just how much this movie could make on its opening weekend? The movie also now holds the record for sales in its first week, beating Star Wars: The Force Awakens. It's clear people aren't willing to deal with spoilers on this one. Erik Davis, managing editor of Fandango, had this to say. "I wouldn't be surprised to see a record amount of fans reporting sick to work or taking the day off on Friday, April 26 because they'll be attending opening day screenings of 'Avengers: Endgame. 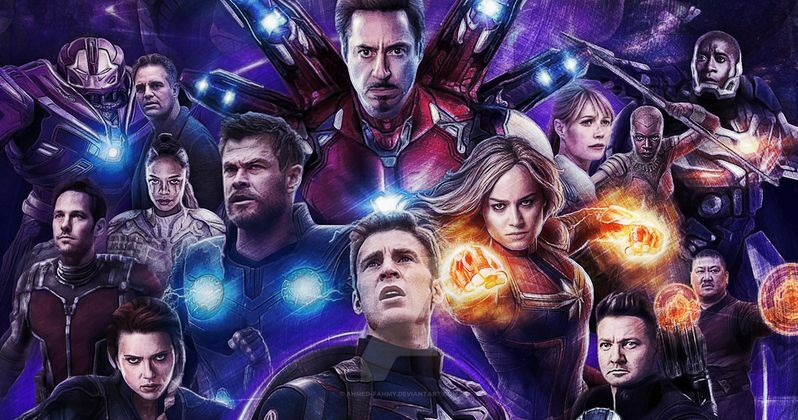 Even though 'Endgame' has sold out thousands of showtimes, there are still plenty of tickets still available on Fandango for the year's most anticipated movie." To put it another way, Avengers: Endgame has sold twice as many presale tickets so far as Aquaman, The Last Jedi, Infinity War and Captain Marvel. Combined. Considering that all of those movies eclipsed $1 billion at the box office ($2 billion in the case of Infinity War) one has to wonder just how high the ceiling is for Marvel's latest. At this point, there are already thousands of sold out shows on opening weekend all across the country. Major theater chains have been adding showings left and right to keep up with demand, with some holding showings as early as 4 a.m. on Friday, which is pretty crazy. Part of the problem is that the movie runs 3 hours and 2 minutes, which means theaters can squeeze in fewer showtimes per screen than they otherwise normally could for a massive blockbuster such as this. Originally, tracking had the movie pegged for an opening weekend between $200 and $250 million domestically. Now, certain people within the business think it could go as high as $300 million, which is absolutely nuts. That said, these presale numbers do speak to demand on levels the industry has never seen. For those who haven't obtained tickets yet, there are still plenty of them out there for opening weekend showings. But at this point, it's best not to wait any longer. Don't just show up at a theater on opening weekend hoping to grab a ticket at the last second. Marvel is set to release Avengers: Endgame on April 26.